"A Group of People at a Dance, ca. 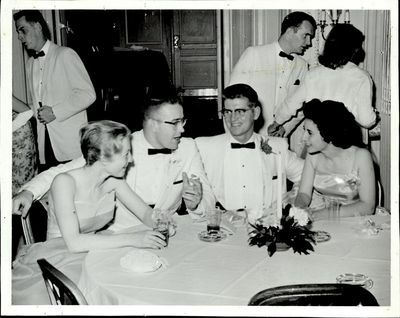 1961-62"
A group of formally dressed students converse at a table. Four other people are present in the background.